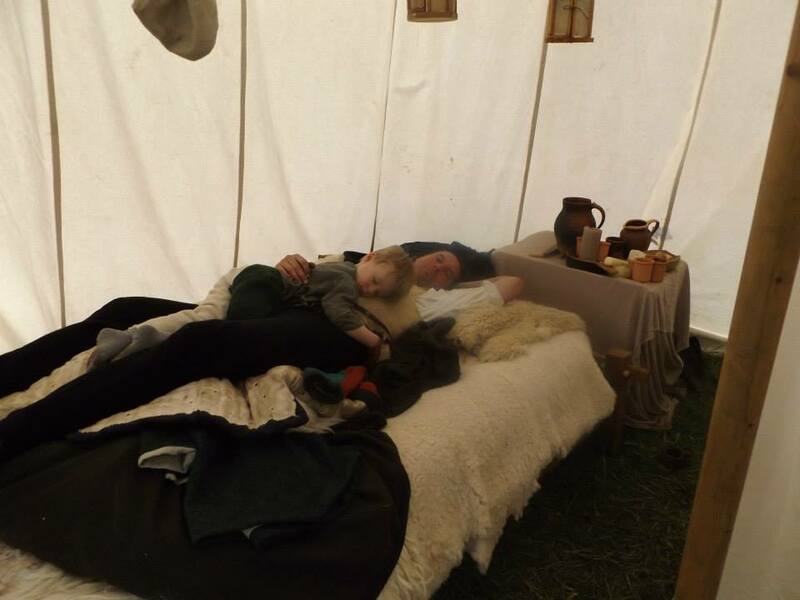 Step into our award winning living history encampment and take a step back in time. Meet our members, chat to us about the guns, our clothing or the jobs and crafts that we are engaged in. 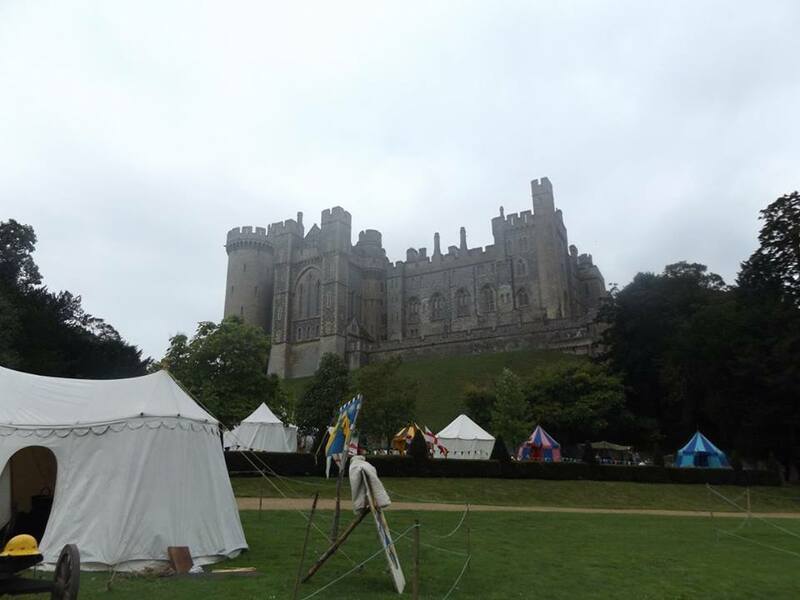 We set up a siege camp of authentic tents around the central cook fire and dining tables at events. 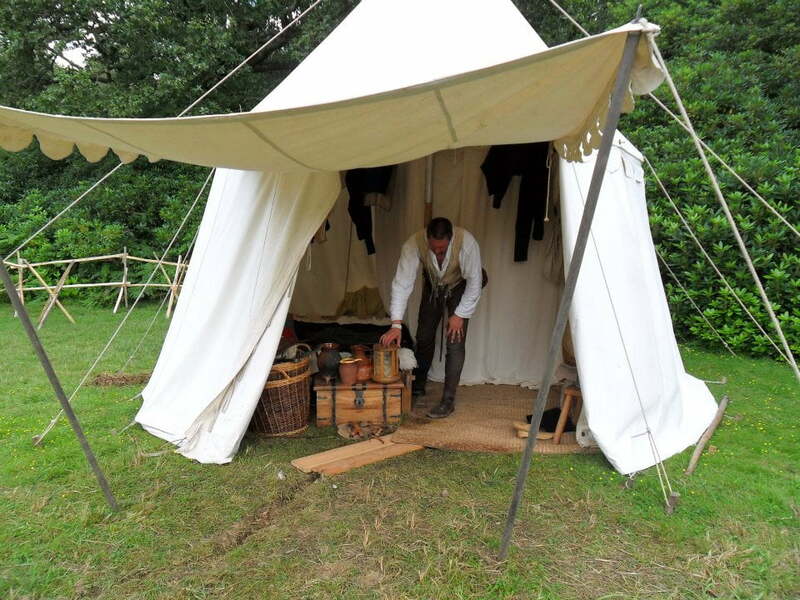 All the furniture, equipment and tools in the camp are based on medieval examples. 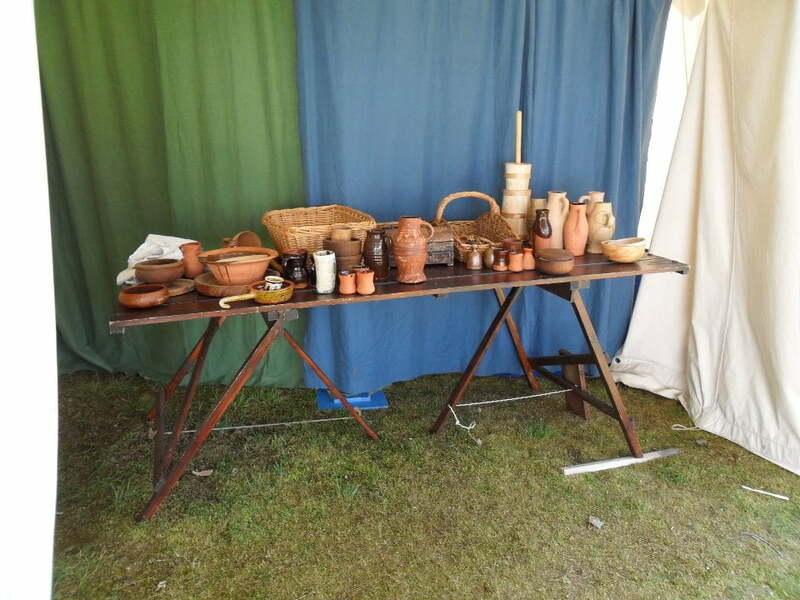 When not taking part in a battle or demonstration our members can be found in camp engaged in day to day activities, crafts or period recreations such as dicing or medieval board games. The members are approachable and knowledgeable and are happy to answer questions or explain the more about lives in the 15th century. Food is an important aspect of camp life. 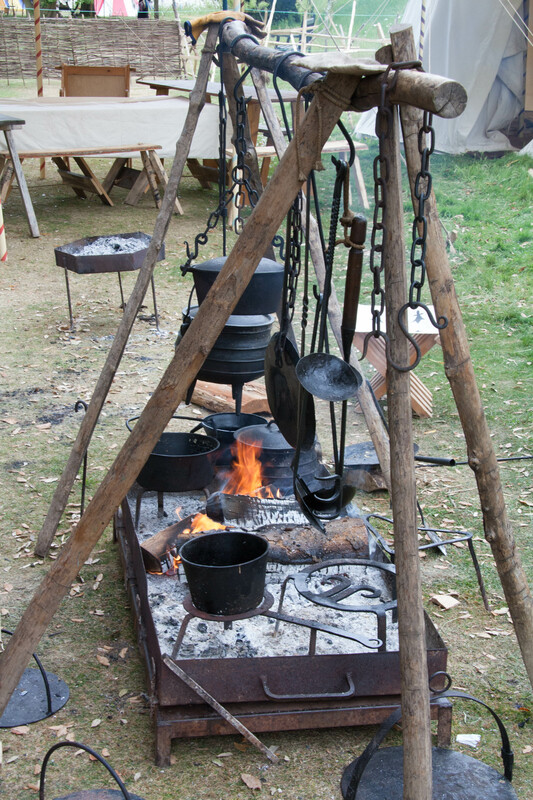 The cook fire and eating area are very much at the heart of the camp and our cooks prepare and serve three meals a day using medieval ingredients, techniques and recipes. Although the evening meal is usually eaten after public hours it is cooked throughout the day and the kitchen team can often be seen preparing, cooking or tending the fire. News – announcing our new website! © 2019 The Compagnie of Seint Barbara — All Rights Reserved.